When registered members visit your community landing page, what do you ask them to do? You can choose between four positive behaviours. You want members to ask, help, publish, and find value. This often matches the stage of the lifecycle too. You only have 2 to 3 words to convey this action in a button. Facebook, for example, uses "what's on your mind?" Twitter uses a similar "what's happening?" StackOverflow offers several options. I suspect this is less effective than selecting a single behaviour to change. 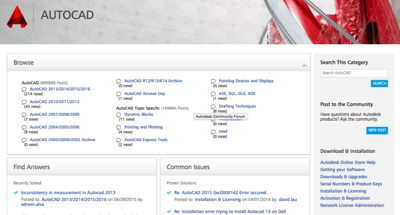 Autodesk offers several calls to action, but they're harder to find. Search for information is most important, followed by asking for help. Your community should have a clear call to action better than start a discussion, create topic, or even ask a question. The call to action must personify the action, motivation, and urgency necessary to get members to participate. For example, let's imagine you're not getting enough questions, you need to train members to ask more questions. One way is to put a call to action on the landing page of that community. This can be a simple button members click to take them to a place to 'post' a question. How you describe that button matters a lot. You only get 2 to 3 words. You're training members here to ask a question whenever they're facing a problem they want solved. You might want advice shared regardless if problems are posted. 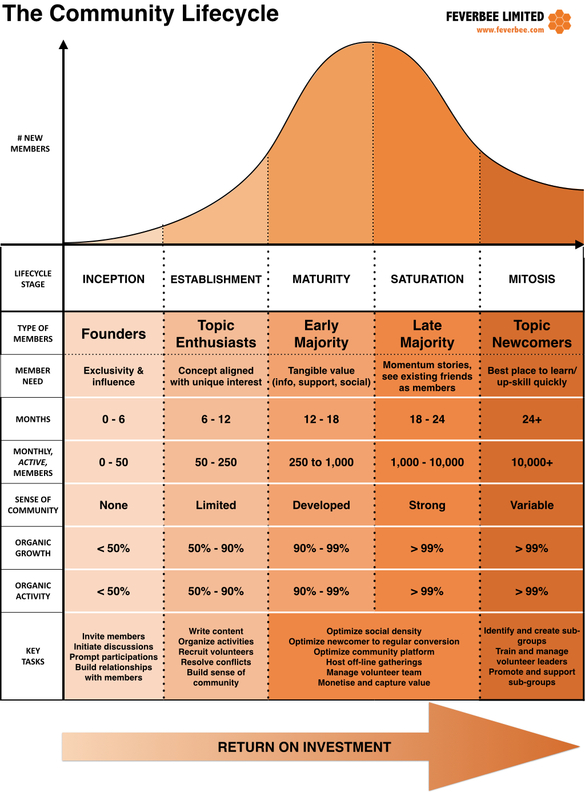 This occurs in communities dedicated to learning more about the topic and exploring new/related fields. You will notice the very minutia of the words you use matter a lot. Most use 'give, share, or publish'. The connotations of 'publish' are usually strong. "Post success story" (this trains people when to post. You have no shortage of words you can use at this stage. Creativity is useful too. Even better, have an open box with the option: "What are you struggling with this week?". Now you're training members to post their questions to the community every week. Create a call to action that appears at the top right of the landing page for registered members of your community. Decide if you need more members to ask questions, more members to reply to questions, or more members to share advice. Use simple wording that describes the action, motivation, and urgency to participate now.